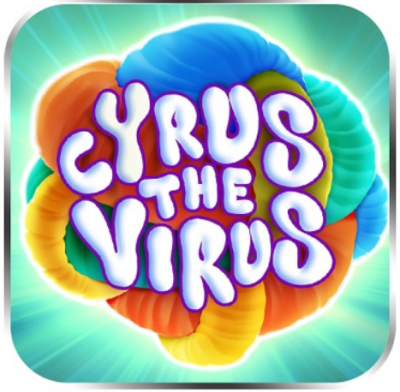 It is a coincidence that Yggdrasil Gaming has launched its new Cyrus the virus slot at this time when people are passing on in South Korea through the quarantined MERS outbreak. Forget about the virus in South Korea, this slot was not focused on the epidemic but was meant to be fun and give you one of the best time in your gaming endeavours. From Monday 8th June, 2015, all players at Yggdrasil slots were in a position to access Cyrus the Virus Slot. The slot has 5-reels and 10 paylines. The lines pay from left to right and from right to left. You will love the visual of the slot, as well as, the soundtrack experience. The slot is all about fruits like the berries, crystals, jokers, robots and Steampunks. You will also learn that the game is about bacteria and other kinds of bacteria. Betting on this slot is pretty easy and minds your budget, the coin range value for the coins is S0.01 and $4. The slot has been developed under a green organism that is filled with colourful viruses which act as the slot symbols and a menace symbols as the wild. This wild symbol can only be landed on the 3rd reel but has the ability to expand and cover all the reels. In the slot, there are 7 base symbols. The highest paying ones can offer rewards in the range of 200 to2,000 coins. The wild is the scariest of them all but it is ironical since this is the symbol you will wish to land all the time. It acts as a substitute for all symbols and will appear in the middle reel and will expand to cover all reels. Each time you will have a combo with the expanding wild, you will have a re-spin. Cyrus the Virus gives players the opportunity for Super free Spins which is an attribute that will allow casinos run by Yggdrasil to give unending free spins to players. The first casino to offer this was Vera & John and we hope that there will be another Yggdrasil casino to offer this. To make the game available over a wider scope, Yggdrasil is making use of its iSENSE 2.0 software which makes sure that Cyrus the Virus is released on the mobile and desktop platforms at the same time. The CEO to the company stated that this technology has brought growth to their business and streamlined their marketing costs. He went on to say that Cyrus the Virus is an infectious slot which brings in a good-looking combination of quality graphics and quality game play.